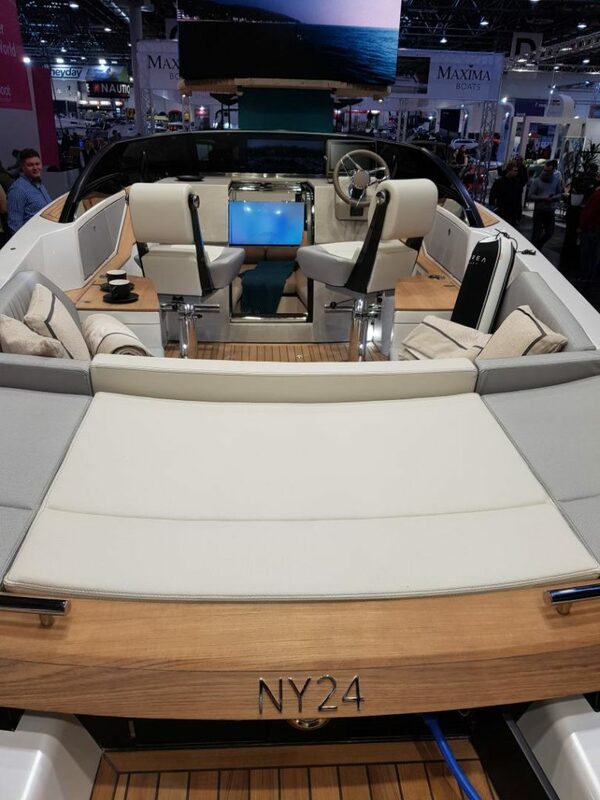 NY24 is the first craft produced by Nerea Yacht, a new Italian yachting company based on the significant experience and mastery of Dario Messina, who has been operating in the boat building industry for twenty years. NY24 was moulded and built in the Nerea Yacht facilities on the Adriatic Coast, near Fano. The Marche region boasts one of the most respectful yachting industries in the world, with highly specialized craftsmen and unmatched know-how, so perfect place for Messina, who decides to make his dream come true: create a “boat boutique”, a nautical laboratory where every new craft is made-to-measure. 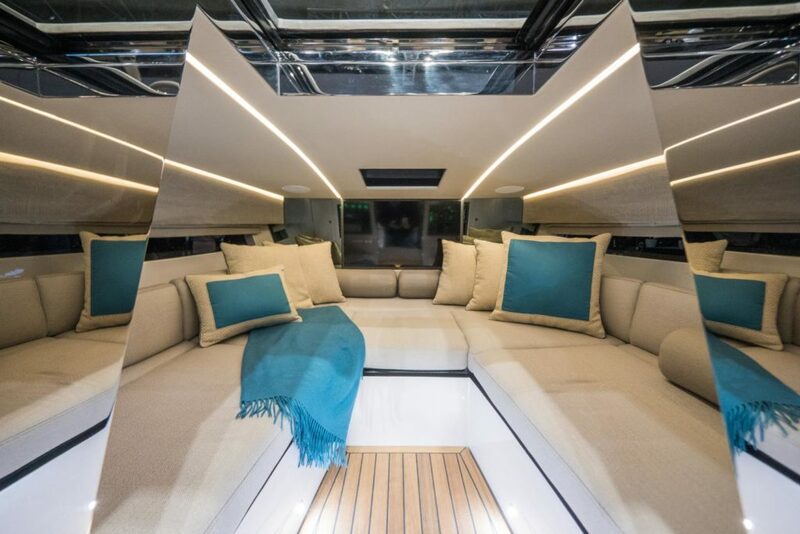 The heart of the boat is definitely the living area in the central cockpit, with a fine convertible dinette where, lowering the central table, this space turns into an inviting, extended sunbathing area. The cockpit can be equipped with two drawer refrigerators, a concealed sink and a stove to guarantee sociable entertainment. A very spacious swim platform and the transom on three levels make a very easy access onboard or down to the water, and the engine room hatch, with remote electrical opening, makes inspections quite simple. The entire walkable surfaces – from the swim platform to the front deck and even the steps in the cabin – are covered by teak, a refined and natural material which contributes to give a classic/modern signature to the boat style. Protection from the sun is granted by a practical bimini which extends over the entire living area. When not in use, you can replace it in a dedicated locker and the four carbon poles find space inside two pockets created in the hull, very easily accessible from the cockpit. Comfort is also given by the audio video system and the natural light flooding the cabin, thanks to two long windows on the sides. A central glass hatch with double sliding doors allows a very easy access in the cabin as well as contributing to the diffused brightness below deck. The design process was not dedicated only to aesthetical features but, of course, also to practical aspects, developing a V-shape hull with 18.5° deadrise which offers a very smooth and safe cruising also with rough seas. The remarkable seaworthiness of NY24 makes her perfect to sail longshore or offshore, and thanks to a very low draught, she can enter bays and creeks with very low seabed. The powerful Volvo engine connected to the duoprop sterndrive guarantees great performances with a top speed of 32 knots and a comfortable cruising of 26 knots. Nothing is left to chance on NY24: in the bow, the stemhead roller with automatic anchor launch and retrieve system is designed to respect the external lines of the boat and is activated from the dashboard. 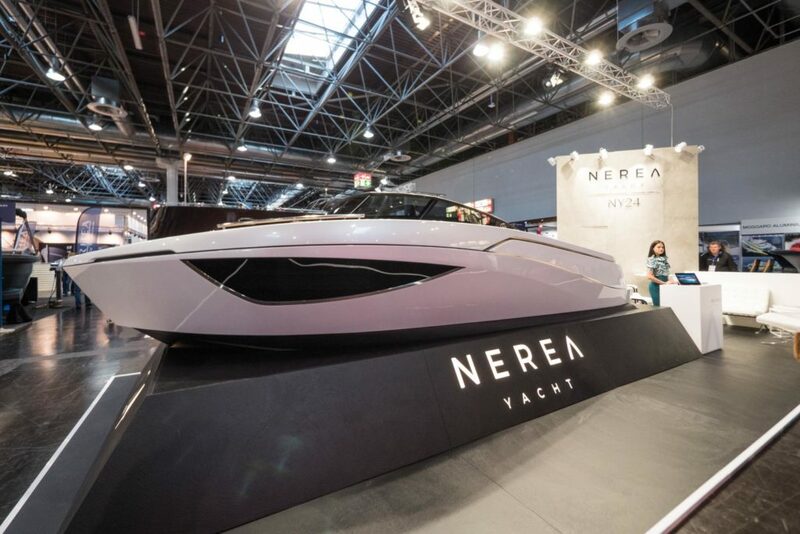 Nerea Yacht is fully entitled to enrich the Italian offer in terms of superior boatbuilding quality, contributing to export the Italian creativity and skillfulness around the world.